Last year’s Pixel 2 devices proved that it is not necessary to have a dual lens setup for capturing better photos. Google Pixel 2 and Pixel 2 XL simply destroyed the competition with just a single rear camera, thanks to the impressive image processing software that Google implemented along with the hardware. This year, the fans have high hopes with the Pixel 3 and Pixel 3 XL but recently leaked images of the front panels & the prototypes revealed that Google is going to be yet another company to launch a device with the notched display. 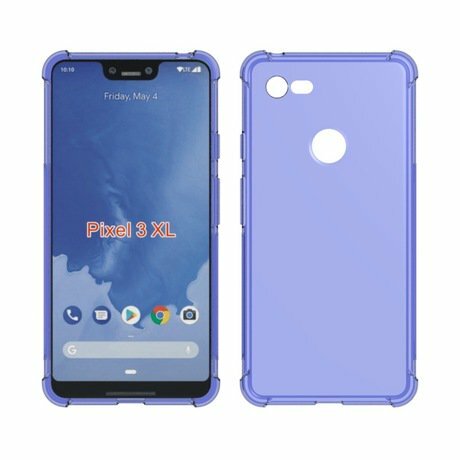 If that image wasn’t enough, a photo showing the alleged Google Pixel 3 XL’s case has once again confirmed that we are indeed getting a notch on top. And not just the notch. The image also confirms that Google is going sticking with a single rear camera setup for both of its devices. Talking about the main difference regarding the cameras, we are getting dual front-facing cameras. Some of the things remain the same from last year like the stereo front facing speakers, no headphone jack, glass window on the back and a rear-facing fingerprint reader. It is not confirmed yet if the Google Pixel 3 and Google Pixel 3 XL are coming with wireless charging support or not. But, we expect that Google will add the support for wireless charging as many users wanted the same on last year’s Pixel 2 and Pixel 2 XL.